Regency Woods sale produces the 2nd highest comparable sale within the last 12 months. PR Newswire, February 14, 2017 (The Woodlands, TX). 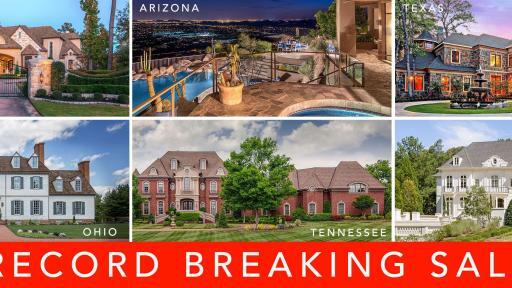 Right off the heels of a record-breaking sale in Ohio, Supreme Auctions™ triumphantly returned to The Woodlands, in Texas to set yet another record with the recent sale of Regency Woods, in cooperation with Diane Kink of Keller Williams Realty – The Woodlands and Magnolia. Punctuated by the 2nd highest comparable sale within the last 12 months, Supreme Auctions continues its sales record following previous successful auctions in both Houston and The Woodlands. For the February 9th auction of Regency Woods, Supreme Auctions implemented a global marketing campaign that generated over 28,000 unique website visitors from over 110 countries. With over 147 inquiries from potential buyers and 80 individuals previewing the property over 4 weekends, 6 registered bidders were present on Auction Day. Each bidder secured their place for the auction with a $150,000 deposit; the winning bidder will take advantage of Supreme Auctions streamlined closing process to call Regency Woods their own. While many of the top luxury markets have been negatively impacted by turbulence in overseas stock markets, falling currency values and low oil prices, luxury real estate auctions continue to be an attractive sales process to combat the struggling marketplace. Following consecutive record-breaking auctions to start 2017, Supreme Auctions continues to work with the luxury market’s top agents as they offer their clients the option of Supreme Auctions Proprietary Accelerated Marketing Program to sell their properties. To preview future luxury real estate auctions, contact Supreme Auctions directly at (866) 929-2243 or visit www.supreme-auctions.com.